Mario Draghi warned, "Undermining E.U. budget rules carries high price for all." 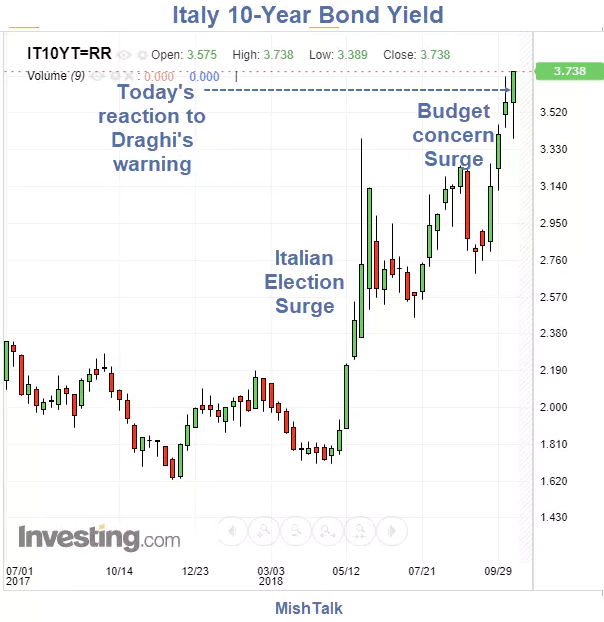 Then, Italian bond yields surged. 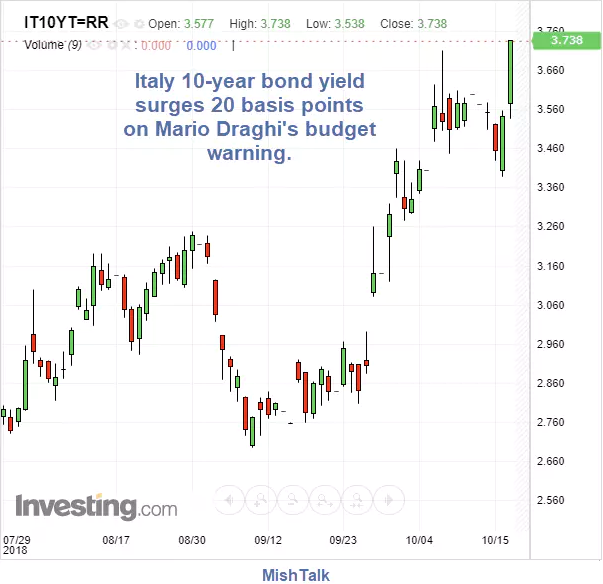 Draghi did not mention Italy by name, but his threat Undermining EU Budget Rules Carries High Price For All was well understood by the bond markets. "Speaking to European Union leaders at a summit devoted to euro zone integration, Mario Draghi said EU budget rules, the Stability and Growth Pact, had to be respected in the interest of all, one official with insight into the summit said. France and Spain repeatedly ignore budget targets. Little is said and nothing is done. Germany has a huge account surplus and little is said and nothing is done. Germany itself violated budget rules for long periods of time and little was said, and nothing done. 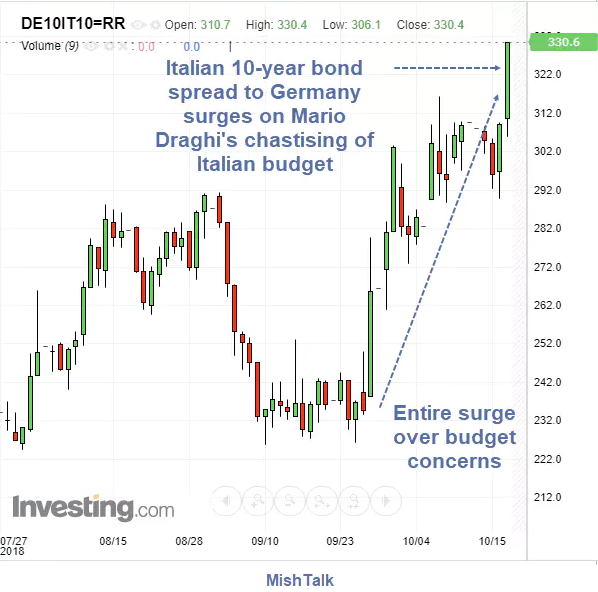 In theory, German, Italian, and Greek 10-year bonds should all have the same yield. In practice, they clearly don't. The difference is perceived default risk. The odds of Italy leaving the Eurozone are rising.